Structured authoring -- it's not just for technical documents any more. JustSystems today announced XMetaL for Enterprise Content Management (ECM), which integrates with more than 20 commercial repositories and file systems. JustSystems has also announced an original equipment manufacturer (OEM) agreement with IBM, under which the company will embed and resell IBM WebSphere Information Integrator Content Edition (IICE) with the new XMetaL product. This is designed to allow companies to broaden XMetaL deployments and to leverage repositories they're currently using to store and manage content. According to JustSystems, XMetaL for ECM will allow companies to start using structured authoring, no matter which repositories are already in place. Companies will also be able to deploy it across departments without disrupting current content management, as well as integrate and automate content creation and publishing across repositories. 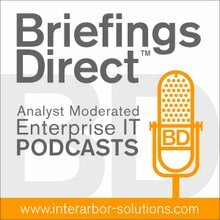 Structured documents can be a valuable ally of service-oriented architecture (SOA) by providing data to workers in the document formats to which they are accustomed, and, at the same time, allowing them to focus on authoritative data and content, while eliminating the drudgery of validating and reconciling documents. I recently wrote a white paper on the role of structured authoring, dynamic documents, and their connection to SOA. Read the whole paper here. Back in April, I recorded a podcast with Jake Sorofman, senior vice president of marketing and business development, for JustSystems North America. The sponsored podcast described the tactical benefits of recognizing the dynamic nature of documents, while identifying the strategic value of exposing documents and making them accessible through applications and composite services viaSOA. "There are really a couple of different issues at work here. The first is the complexity of a document makes it very difficult to keep it up to date. It’s drawing from many different sources of record, both structured and unstructured, and the problem is that when one of the data elements changes, the whole document needs to be republished. You simply can’t keep it up-to-date. "This notion of the dynamic documents ensures that what you’re presenting is always an authoritative reflection of the latest version of the truth within the enterprise. You never run the risk of introducing inaccurate, out of date, or stale information to field base personnel." You can listen to the podcast here or read a full transcript here.